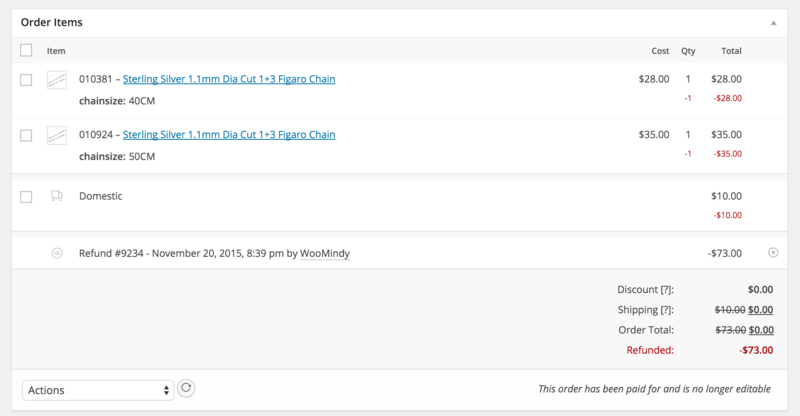 With WooCommerce 2.2 and newer, you can now process refunds directly from within an order automatically if your payment gateway supports it or you can do so manually. If your payment gateway supports automatic refunds, there will be new settings in your gateway’s settings to fill in. Make sure those are setup correctly or refunds won’t work as they should. Refunds extend to products, taxes, and shipping fees and can be processed through your order page. 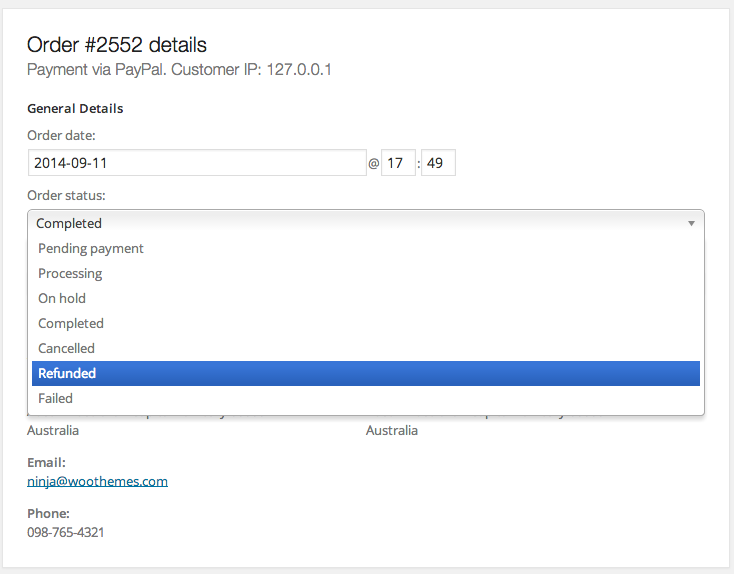 Here is an example of the settings you would see when you go to WooCommerce > Settings > Checkout > Your Payment Gateway if your Payment Gateway supports automatic refunds. Adding the API keys in your Payment Gateway settings will allow for quick, automatic refunds through the WooCommerce admin interface. Next see the steps below on how to process a refund on an order. 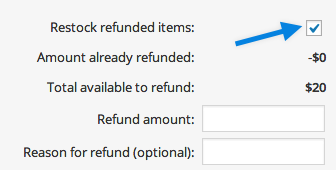 Select the order you wish to refund. Click the grey Refund button to start. Add refund notes, if desired. In the Order Items there will be a note that has been added to let you that a refund has been processed. 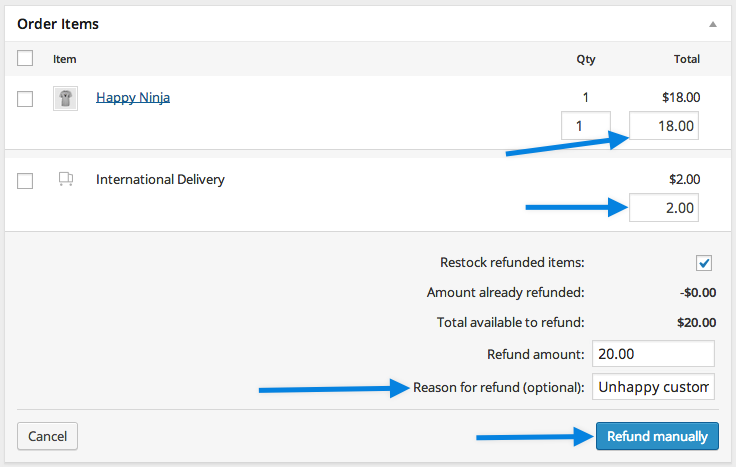 If a refund had been completed for the entire order, the order status will be automatically changed to refunded. If a partial refund was awarded, the status will not change. 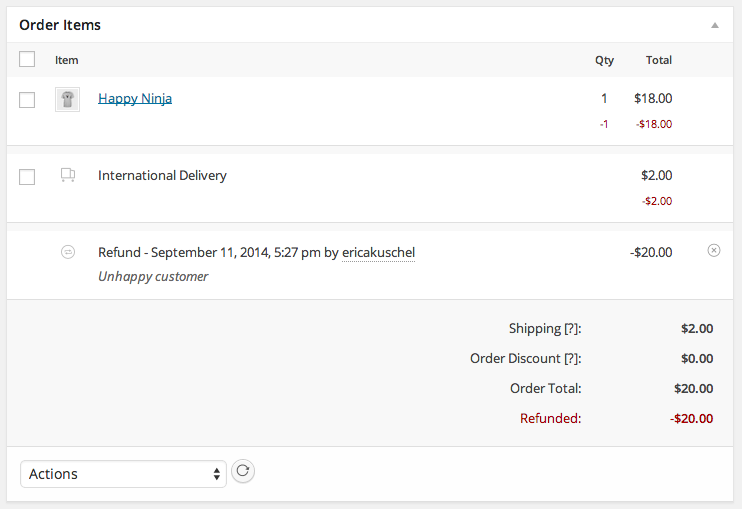 Refunding manually allows you to utilize any WooCommerce payment gateway, regardless of automatic refund support. This will not automatically send the refund to your payment gateway, but allow you to mark the order as refunded on the order. Refunds extend to products, taxes, and shipping fees and must be processed directly with your Payment Gateway. The items selected for the refund will be noted as refunded. 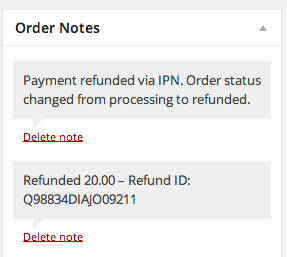 You will need to manually change the Order Status accordingly if you wish to see the order status changed to “Refunded”. Please note: This does not refund the customer via the payment gateway. Continue on to your payment gateway’s dashboard to start the refund process there as well. Refer to our list below to see if the gateway you’ve purchased from WooCommerce.com supports refunds. These do. If you are using a payment gateway not included on this list, see: How to check if your payment gateway supports refunds. How do I find out if my payment gateway is refund compatible?